What’s the deal with grapefruit? Actually, what’s with the name? Why is it clarifying itself as a fruit? Isn’t the word grape enough? Maybe not. After all, the breakfast cereal, Grapenuts, contain neither grapes nor nuts. Even more confusing will be grapegravy whenever someone gets around to creating it. Still, I don’t see other fruits needing to clarify. You don’t see orangefruitatious and reallyuglifruitseriously. But that isn’t the main problem with grapefruit. What’s misleading is the first word. It’s not a grape. 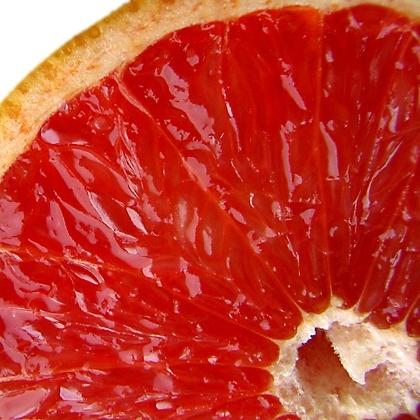 When it comes to taste, grapes and grapefruit have nothing in common. Grapes are sweet, luscious and can be squeezed into juice and overly priced wine. Grapefruit is the item you pass over when you are looking for tangelos. Imagine if you were an alien from outer space or Finland visiting Florida and you tasted a grapefruit for the very first time. ALIEN: This food you gave me is not pleasant. ALIEN: Didn’t I already try a grape that you categorized as a fruit? ALIEN: But this is not a grape. ME: No it is not. ALIEN: Then why call it a grape and then clarify it as a fruit? It is not redundant as well as misleading? ME: This is why you are visiting me and not the other way around. (A) She really liked to eat grapefruit. (B) No one else would. Grandmothers are an infinite well of sacrifice, serving themselves after everybody else is stuffed, happily eating steak with gristle, soup with no chicken, pancakes that are burnt and fruit salad with only one remaining fruit.